An American River College student and former Current staff member was arrested Nov. 28 after dropping anti-media leaflets from a drone over separate San Francisco 49ers’ and Oakland Raiders’ games. 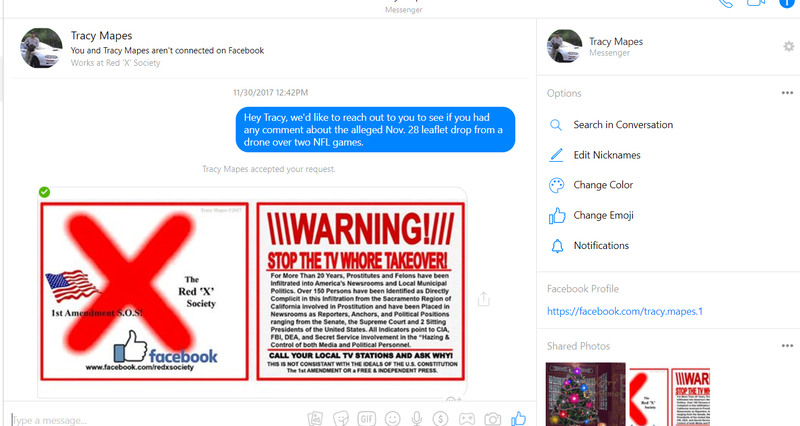 Tracy Mapes, 55, posted different variations of the leaflet on social media. He also uploaded videos of trial runs of his drone dropping pamphlets over Sacramento State football games and the ABC 10 offices off of Broadway to YouTube. The leaflet contained a message alleging that “prostitutes and felons” had gotten jobs as journalists, politicians and judges. Mapes, who is currently enrolled at ARC, claimed in a Nov. 27 interview with Bay Area affiliate KCBS that his goal was to spread his message. He also stated that he “did not know,” if he would or wouldn’t drop leaflets over a stadium again. According to Santa Clara Police Department Lieutenant Dan Moreno, Mapes was cited for violating a Santa Clara city ordinance that prohibits the use of a drone within half a mile of Levi’s Stadium and a Federal Aviation Administration law that doesn’t allow the use of a drone within five miles of an airport or near an NFL game. Moreno added that the case is still an ongoing investigation between the SCPD and the FAA. Over the last few years, Mapes has posted a public manifesto across various social media sites, including Facebook, detailing the ideology of what he calls the “Red X Society,” an organization that appears to have only one member: Mapes. In the various posts, Mapes claimed that 150 “prostitutes” he “dated” in Sacramento have gone on to high-level positions as news anchors, entertainers, and even Supreme Court Judges. “It’s been over the last 9 years that I discovered that the very girls I dated on the streets of Sacramento so many years before were all now gainfully employed as News Anchors [sic], Reporters [sic], a City Mayor [sic], and even a District Attorney [sic] named Jan Scully,” Mapes wrote in a Facebook note published March 28, 2015. On another post on the Portland Independent Media Center website posted Nov. 23, 2014 titled “Direct Action – Modern Warfare – Tactics and Results,” Mapes outlined that any level of offense taken against himself or any member of the Red ‘X’ Society, would be met with four levels of retribution. He called it his “direction action list” and in it, he levied the threat of arson, property destruction and eventually homicide against those that he declared enemies. Mapes also outlined a plan to “nail drop” his enemies—or drop nails outside of their homes and places of business. 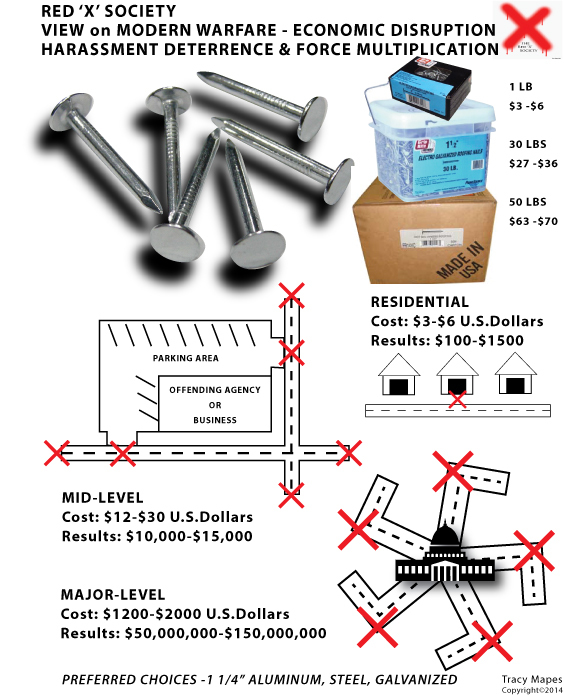 Mapes also estimated the amount of damage a “nail drop” attack on the U.S.Capitol in Washington DC would incur in a graphic he created himself. He estimated the damage at $50,000,000-$150,000,000. In the same PIMC post, Mapes attached a link to a YouTube video for a Les Schwab commercial in which a large delivery truck drops thousands of nails across a stretch of highway as a spokesman for the company speaks to the camera. It’s unclear whether or not Mapes was actually planning an attack on the U.S. Capitol, but according to several sources on campus, Mapes displayed a history of seemingly antisocial behavior. Mapes had tumultuous relationships with many of his professors and fellow students. When Mapes served on the Current in the spring of 2016, he got into a near-fist fight with then editor-in-chief Jordan Schauberger because of Schauberger’s refusal to publish candid photos of women that Mapes had taken, according to Schauberger and other witnesses, including then-staff writer Mack Ervin III. ARC Professor Craig Martinez also told the Current that when Mapes was a student in his Spring 2014 Art New Media 358 class, he would make lewd and inappropriate comments about women. According to Martinez, after he asked Mapes to leave, he became increasingly aggressive towards Martinez and eventually ended up harassing the professor. Mapes printed out flyers which were allegedly meant to expose Martinez’s YouTube channel: Blue Collar Beer Snob. He had the flyers approved by the Campus Life Center, a group that has to approve any postings to campus bulletin boards. Martinez also told the Current that Mapes began a targeted campaign on Martinez’s 14-year-old niece after she appeared in one of his videos discussing alcohol and the effects of peer pressure. “He took a screenshot of my niece and I and then sent that to the dean of the college, totally out of context,” Martinez said. It wouldn’t be Mapes last confrontation with faculty though. Student Annelies Veldman took a class with Mapes in the fall of 2015; the professor asked not to be named in this article. Veldman said Mapes would show up to class everyday wearing a backpack with two walkie-talkies hanging off of it. She recalled that he wore one over his shoulder strap (like a police officer would for ease of use) and another clipped to his hip. Veldman said that the discussions in the class would often leave Mapes frustrated and that he eventually became enraged at the professor for “perpetuating the lies of the media.” According to Veldman, Mapes began standing up and yelling at the instructor on one occasion. She then said that the professor asked Mapes to leave several times before he eventually exited the classroom. The professor locked the door behind Mapes as he left. When Mapes was reached for comment by the Current, he directed the paper to a Facebook Note published March 1, 2017 called the “Coup D’Etat of the United States Press” where he again reiterates that prostitutes he slept with went on to achieve international success as world leaders. “I met over 150 Pimps [sic], Prostitutes [sic], and Individuals[sic] involved in criminal acts in the related to the before mentioned street crimes on the streets of Sacramento, California during the late 1980’s and early 1990’s. Since my involvement with these persons over a seven year period, two of the persons involved in narcotics use and prostitution have become Presidents of the United States of America,” the post reads. The ARC Office of Student Conduct was unable to comment on whether or not they had received formal complaints on Mapes. Mapes is scheduled to appear in court on Jan. 10, 2018 in Santa Clara, California. 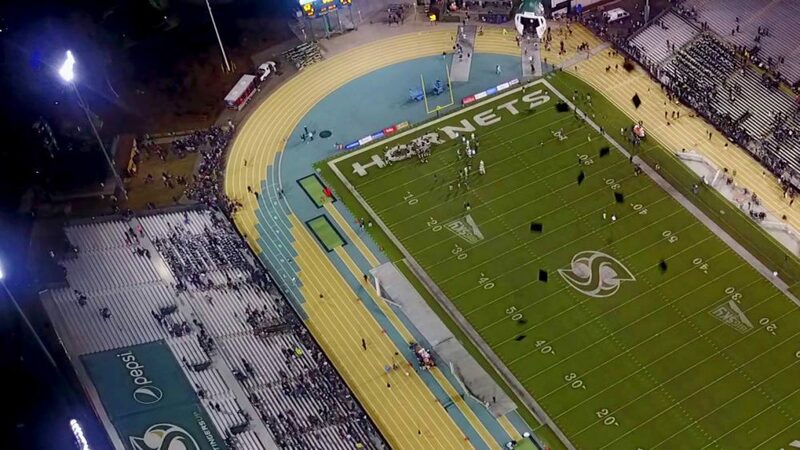 3 Comments on "Student arrested for flying drone over NFL stadium had prior confrontations with faculty and students"
Not One Member of the American River Current contacted me to confer if this information was true, accurate or correct. Great Job! … Nazis.